Peter Marsh, Founder of Made Here Now, an initiative to change perceptions of UK manufacturing and attract more talent to the sector takes a look at some of the businesses that are willing to invest in the UK despite Brexit. A US manufacturer of ultrafast telecoms equipment, a South African group making animal feed from fly larvae, and a German pioneer in high-tech building components – three businesses with little in common but for one thing: their willingness to invest in new UK manufacturing capacity despite the prospect of Britain’s imminent departure from the European Union. Although they all acknowledge the risks surrounding Brexit, the three companies, US electronics group Kaiam, South Africa’s Agriprotein and LTG Lofts to Go, based in Hamburg, say that the UK’s skills base and capabilities in advanced manufacturing are enough to outweigh the disadvantages. Their stories illustrate how manufacturers are weighing up UK investments in the light of worries that producing goods in the UK could get harder once the country is outside the EU. A few months after the Brexit vote in June 2016, Andrew Liveris, chief executive of the big US manufacturer Dow Chemical, said much potential spending by international companies on new UK plants and projects was “sitting on the sidelines”. The chief executive of Ford has recently said he cannot guarantee that the carmaker’s UK sites would continue once Britain quits the union in 2019. Siemens has pressed ahead with a planned £310m investment in a plant in Hull to make giant blades for offshore wind farms. But the German group has warned that any new EU tariffs or trade rules introduced once Britain leaves the Customs Union could hurt the plant’s prospects. However, there is also a counter view – voiced by people such as Sir James Dyson, founder and owner of the UK technology company Dyson – that escape from EU rules could trigger new opportunities for UK businesses. Dyson has major manufacturing centres in Malaysia, Singapore and the Philippines, and is opening a second big research centre in the UK as part of a £2.5bn global programme. While Sir James ended UK production in 2002, Dyson has tripled its British workforce to 3,500 since 2011, half of whom are scientists and engineers. At Kaiam, chief executive Bardia Pezeshki, calls Brexit a “dark cloud on the horizon” while the prospect of Scottish independence is another concern. But he believes the UK is a “great place” for high-tech manufacturing with an “excellent infrastructure and a talented educated workforce”. Mark Schmiedel , LTG’s chief executive, says the UK has strengths that make the country attractive for an inward investor, whether inside or out of the EU. “I believe that people [in Britain] are more innovative than in many other countries,” he says. Of the three companies, Kaiam is the only one with an existing UK investment, a large plant in Livingston, near Edinburgh, making optoelectronic data connectors used in high-speed computers powering the internet. Kaiam’s connectors work by handling up to 100bn blocks of data – bits – a second. 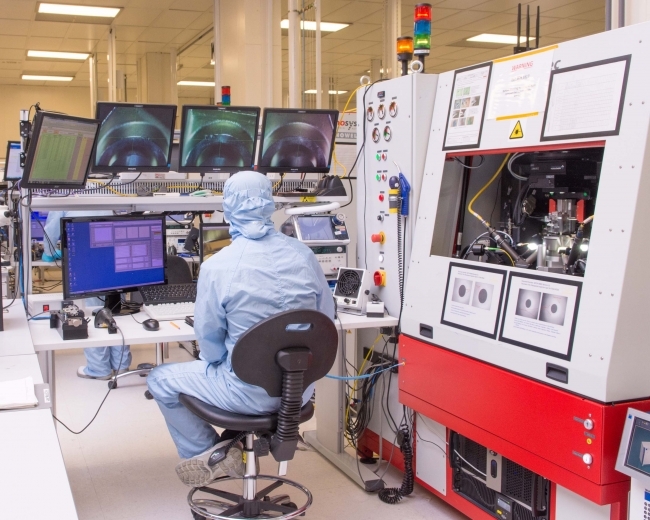 The company plans to expand by acquiring a second electronics plant in Newton Aycliffe, north-east England, run by Compound Photonics, another US company. Kaiam’s connectors are used by companies such as Google and Facebook for the computer servers that feature in data centres based around the world. Pezeshki says Kaiam’s technical skills give it a global lead and demand for its connectors is so high that it needs more capacity. It decided to base its global manufacturing for connectors in the UK because operating similar facilities in China – the global centre of electronics manufacturing – risked technical secrets leaking out to competitors. The Newton Aycliffe factory employs 110, but this number could rise after the takeover. About 500 people work in Livingston. Agriprotein runs a series of “fly farms” in its home country that process organic waste – from households and restaurants, for example – to provide nutrients for fly larvae. The larvae are turned into high-protein animal feed, using a novel process in industrial biology. A typical fly farm costs up to $25m, houses 8bn flies and occupies an area the size of an aircraft carrier’s flight deck. The South African company is looking to start a series of new fly farms in the UK, on top of expansions in the US, Middle East and the rest of Europe. 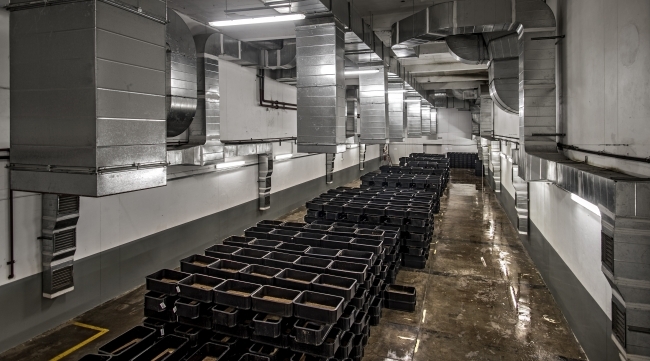 Banks says that in London alone “there is enough food waste for at least 18 [fly] factories”, creating the possibility that by 2025 Agriprotein could be operating “dozens” of UK units. The nutrient from the farms can replace fishmeal and soymeal in pet foods and can also be used for fish and chicken feeds in agriculture. In the case of LTG, the company is looking for a UK partner to make components for the high-tech and ecologically friendly buildings – called Coodos – that LTG designs and builds. While just over 20 Coodos are now in use around the world, this number should rise to 50 by the end of 2017, and double again in 2018. The company makes its components in Portugal, Macedonia and Germany but likes the idea of extending manufacturing to a country where it believes commercial prospects are bright. 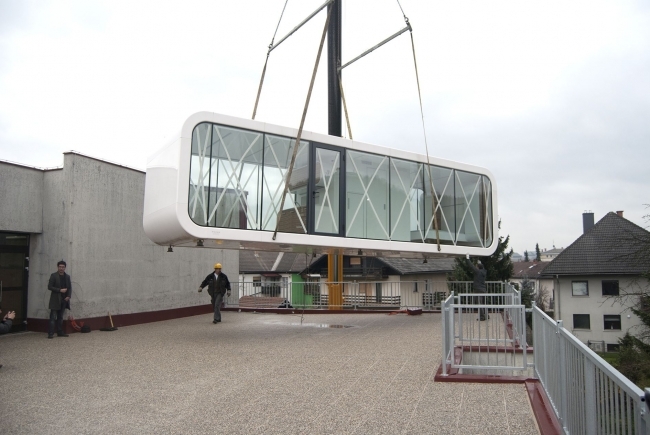 The buildings are flexible in size and shape and can be produced and moved around the country cheaply and easily. This, says Schmiedel, makes them suited to tackling Britain’s housing shortage while also providing structures for use in the leisure industry – for instance in high-end camping or “glamping”. For companies as diverse as Kaiam, Agriprotein and LTG, it seems that Britain has attractions as a manufacturing base that will outlive its membership of the EU.